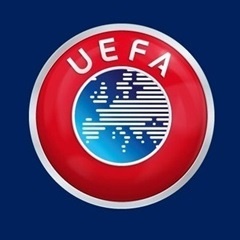 Paris - UEFA has opened an investigation into alleged racist chanting aimed at England players in Monday's 5-1 Euro 2020 qualifying win at Montenegro, European football's governing body said on Tuesday. "Disciplinary proceedings have been opened following the European Qualifiers group A match between Montenegro and England (1-5), played on 25 March in Montenegro," UEFA said in a statement, with "racist behaviour" among the five charges levelled against the Balkan nation. England manager Gareth Southgate said he "definitely" heard racist chants aimed at Danny Rose during the win, which gave the Three Lions a perfect two-wins-from-two start in their Group A campaign. Raheem Sterling celebrated England's fifth goal by cupping his ears towards the home fans, later revealing on Twitter that the gesture was directed at "racists" in the Podgorica crowd. Manchester City attacker Sterling called for stadium bans for countries whose fans racially abuse players. In October Romania were ordered to play one match behind closed doors following "racist behaviour" during their Nations League match against Serbia, in which fans chanted discriminatory slogans against Hungarians.